Claire, 30, has just started using give away shops in the last year or so. 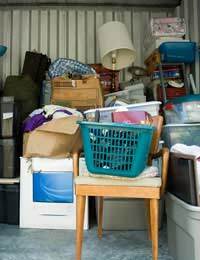 She says it was for a few reasons – mainly to save money, reduce waste and cut down on clutter. “It all started really when we were moving house a few months ago. We decided to have a massive clear out, and I mean massive. We wanted less furniture and less clutter in general at our new place. “For example, we didn’t want to cart so many CD and DVD cases around whenever we moved, so we transferred the CDs and DVDs only to wallets which meant we were left with hundreds of plastic cases. I contacted the council about having them recycled and they really weren’t much help. They pretty much said I should just put them out with the other rubbish! I’m not as eco-friendly as I'd like to be all the time but the idea of them all going to landfill made me feel a bit sick! As well as Freecycle, Claire has also used give away shops at her local independent cinema and the pub down the road. She explained: “There is a great give away cupboard at a volunteer-run cinema in my city. I’ve borrowed things like DVDs and books and I got a really nice dress to keep from there too. I Love Give Away Shops!